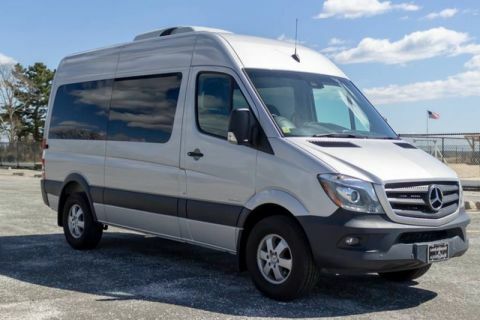 This 2016 Mercedes-Benz Metris Cargo Van is proudly offered by Mercedes Benz of Massapequa This Mercedes-Benz includes: DRIVER COMFORT PACKAGE CARGO PROTECTION PACKAGE DRIVER EFFICIENCY PACKAGE *Note - For third party subscriptions or services, please contact the dealer for more information. 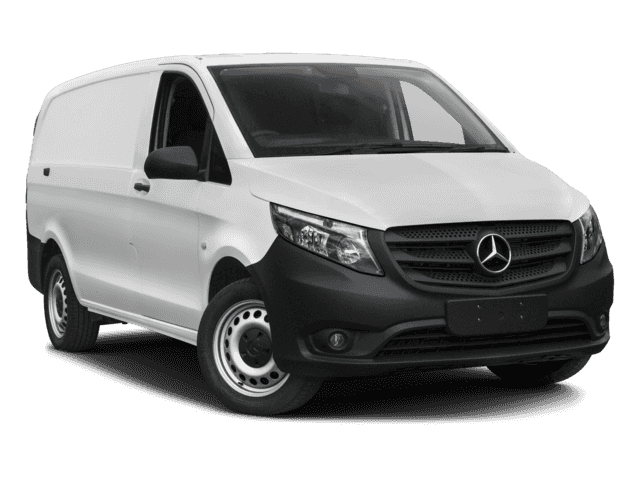 * This 2016 Mercedes-Benz Metris Cargo Van comes with a CARFAX Buyback Guarantee, which means you can buy with certainty. Exceptional in every sense of the word, this incredibly low mileage vehicle is one of a kind. 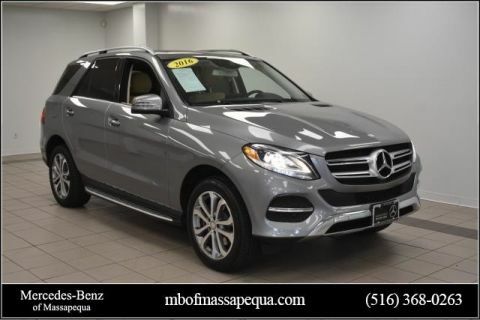 In addition to unbelievable options, this vehicle comes equipped with a factory warranty.This 2016 Mercedes-Benz Metris Cargo Van is proudly offered by Mercedes Benz of Massapequa This Mercedes-Benz includes: DRIVER COMFORT PACKAGE CARGO PROTECTION PACKAGE DRIVER EFFICIENCY PACKAGE *Note - For third party subscriptions or services, please contact the dealer for more information. * This 2016 Mercedes-Benz Metris Cargo Van comes with a CARFAX Buyback Guarantee, which means you can buy with certainty. Exceptional in every sense of the word, this incredibly low mileage vehicle is one of a kind. 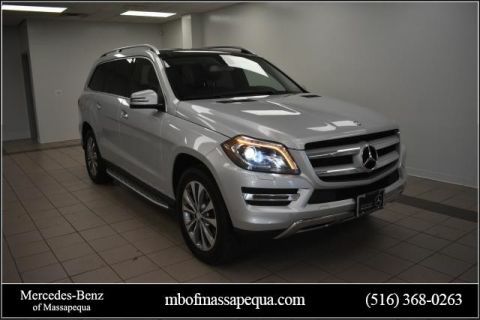 In addition to unbelievable options, this vehicle comes equipped with a factory warranty. 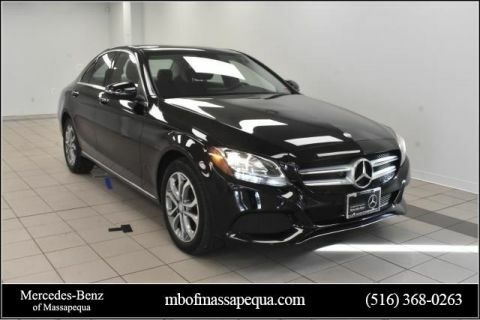 You can find this 2018 Mercedes-Benz C-Class C 300 and many others like it at Mercedes Benz of Massapequa. 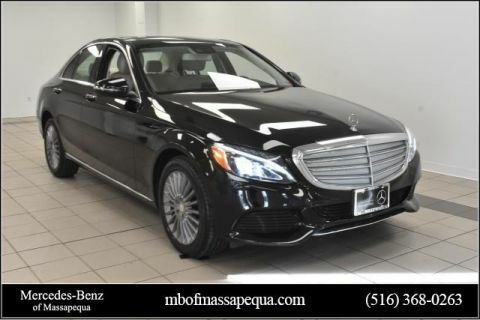 This Mercedes-Benz includes: PANORAMA SUNROOF AMG® LINE ILLUMINATED STAR LED HEADLAMPS BURMESTER PREMIUM SOUND SYSTEM PREMIUM PACKAGE SMARTPHONE INTEGRATION PACKAGE HEATED FRONT SEATS *Note - For third party subscriptions or services, please contact the dealer for more information. * This vehicle is loaded with great features, plus it comes with the CARFAX BuyBack Guarantee. Indulge yourself with one of the most highly crafted, most luxurious automobiles available today. 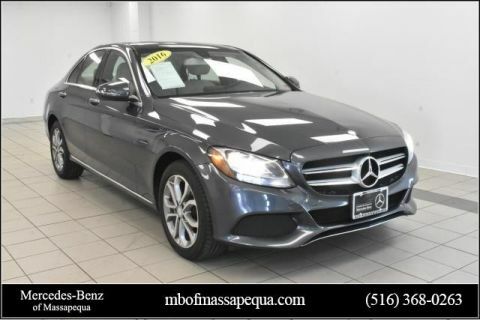 Outstanding fuel economy and sleek styling are two great reasons to consider this Mercedes-Benz C-Class. 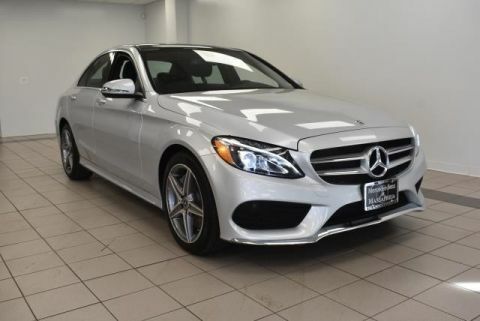 Enjoy the grip and control of AWD performance in this nicely equipped Mercedes-Benz C-Class. 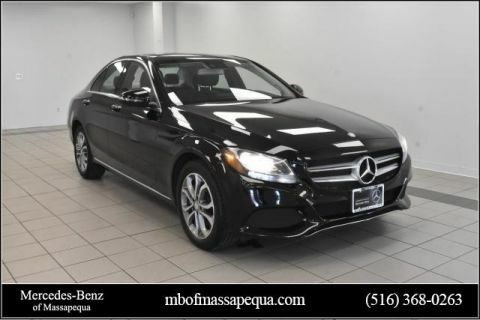 This Mercedes-Benz C-Class C 300 is covered under the Mercedes-Benz reliable & trusted factory warranty. So, if you're in the market for an incredible vehicle which provides the manufacturer-backed assurance that everyone deserves, then this is the vehicle for you. Payments based on maximum finance term available and Tier 1 credit approval. 20% Cash or trade down. 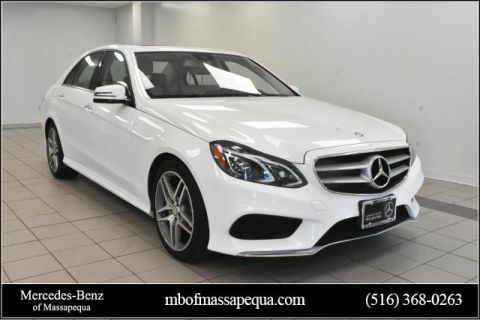 Tax,DMV additional.You can find this 2018 Mercedes-Benz C-Class C 300 and many others like it at Mercedes Benz of Massapequa. 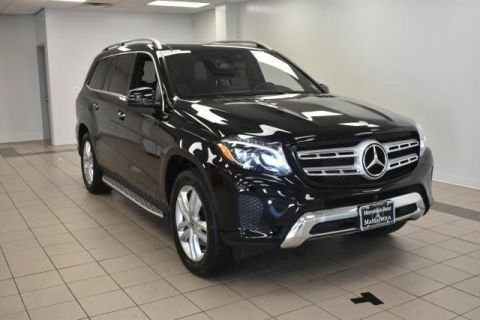 This Mercedes-Benz includes: PANORAMA SUNROOF AMG® LINE ILLUMINATED STAR LED HEADLAMPS BURMESTER PREMIUM SOUND SYSTEM PREMIUM PACKAGE SMARTPHONE INTEGRATION PACKAGE HEATED FRONT SEATS *Note - For third party subscriptions or services, please contact the dealer for more information. * This vehicle is loaded with great features, plus it comes with the CARFAX BuyBack Guarantee. Indulge yourself with one of the most highly crafted, most luxurious automobiles available today. 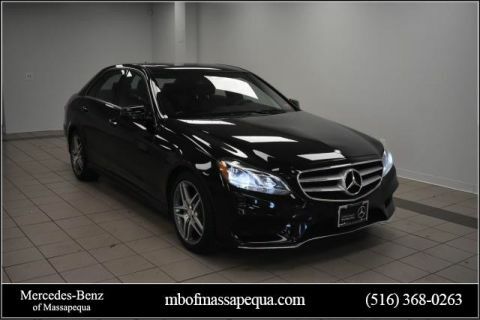 Outstanding fuel economy and sleek styling are two great reasons to consider this Mercedes-Benz C-Class. 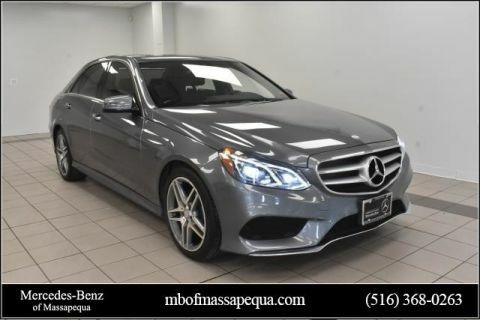 Enjoy the grip and control of AWD performance in this nicely equipped Mercedes-Benz C-Class. This Mercedes-Benz C-Class C 300 is covered under the Mercedes-Benz reliable & trusted factory warranty. So, if you're in the market for an incredible vehicle which provides the manufacturer-backed assurance that everyone deserves, then this is the vehicle for you. Payments based on maximum finance term available and Tier 1 credit approval. 20% Cash or trade down. Tax,DMV additional. Only 975 miles! This car has is absolutely Loaded! 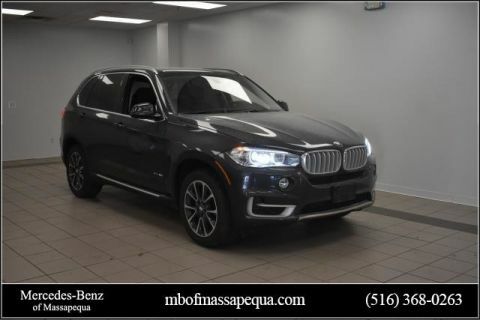 MSRP of $208,440! Entire car is wrapped in clear bra and entire car has been Ceramic Pro-ed. This car is an absolute must see! This Mercedes-Benz includes: AMG® EXTERIOR CARBON FIBER PACKAGE FITTED INDOOR CAR COVER AMG® EXTERIOR CARBON FIBER PACKAGE II Rear Spoiler BURMESTER HIGH-END 3D SURROUND SOUND SYSTEM AMG® CARBON FIBER DOOR SILL COVERS CONVENIENCE PACKAGE Keyless Start Universal Garage Door Opener Power Door Locks Keyless Entry Power Folding Mirrors AMG® MATTE CARBON FIBER TRIM LANE TRACKING PACKAGE Lane Departure Warning Blind Spot Monitor EXCLUSIVE INTERIOR PACKAGE DISTRONIC PLUS® Adaptive Cruise Control MATTE CARBON FIBER REAR CROSSBAR WHEELS: 19 FR/20 RR AMG® 5-TWIN SPOKE FORGED BLACK YELLOW SEAT BELTS AMG® CARBON CERAMIC BRAKING SYSTEM *Note - For third party subscriptions or services, please contact the dealer for more information. * How to protect your purchase? CARFAX BuyBack Guarantee got you covered. This is a well kept ONE-OWNER Mercedes-Benz AMG® GT AMG® GT R with a full CARFAX history report. 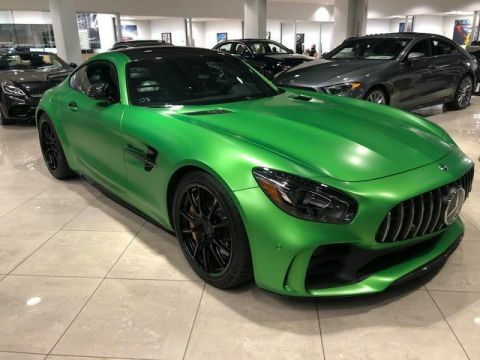 The Mercedes-Benz AMG® GT AMG® GT R's pristine good looks were combined with the Mercedes-Benz high standard of excellence in order to make this a unique find. This vehicle comes with a navigation system. That doesn't mean you won't get lost. But it does mean you won't stay lost. Get more for your money with this well appointed vehicle, including a factory warranty. You will never have to worry about keeping up with traffic in this Mercedes-Benz AMG® GT as it packs a beast under the hood. You demand the best in everything, so why would your automobile be any different? Enjoy the best features available in this stunning Mercedes-Benz AMG® GT.Only 975 miles! This car has is absolutely Loaded! 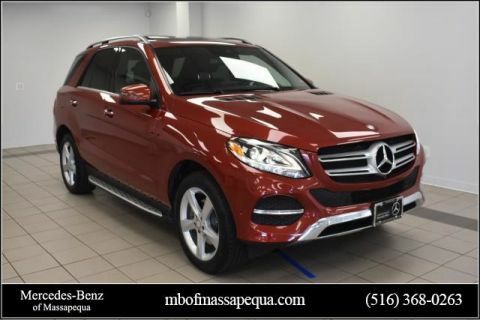 MSRP of $208,440! Entire car is wrapped in clear bra and entire car has been Ceramic Pro-ed. This car is an absolute must see! This Mercedes-Benz includes: AMG® EXTERIOR CARBON FIBER PACKAGE FITTED INDOOR CAR COVER AMG® EXTERIOR CARBON FIBER PACKAGE II Rear Spoiler BURMESTER HIGH-END 3D SURROUND SOUND SYSTEM AMG® CARBON FIBER DOOR SILL COVERS CONVENIENCE PACKAGE Keyless Start Universal Garage Door Opener Power Door Locks Keyless Entry Power Folding Mirrors AMG® MATTE CARBON FIBER TRIM LANE TRACKING PACKAGE Lane Departure Warning Blind Spot Monitor EXCLUSIVE INTERIOR PACKAGE DISTRONIC PLUS® Adaptive Cruise Control MATTE CARBON FIBER REAR CROSSBAR WHEELS: 19 FR/20 RR AMG® 5-TWIN SPOKE FORGED BLACK YELLOW SEAT BELTS AMG® CARBON CERAMIC BRAKING SYSTEM *Note - For third party subscriptions or services, please contact the dealer for more information. * How to protect your purchase? CARFAX BuyBack Guarantee got you covered. This is a well kept ONE-OWNER Mercedes-Benz AMG® GT AMG® GT R with a full CARFAX history report. The Mercedes-Benz AMG® GT AMG® GT R's pristine good looks were combined with the Mercedes-Benz high standard of excellence in order to make this a unique find. This vehicle comes with a navigation system. That doesn't mean you won't get lost. But it does mean you won't stay lost. Get more for your money with this well appointed vehicle, including a factory warranty. You will never have to worry about keeping up with traffic in this Mercedes-Benz AMG® GT as it packs a beast under the hood. You demand the best in everything, so why would your automobile be any different? Enjoy the best features available in this stunning Mercedes-Benz AMG® GT. 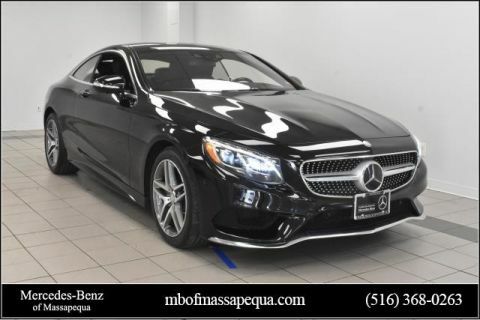 Contact Mercedes Benz of Massapequa today for information on dozens of vehicles like this 2017 Maserati Quattroporte S Q4 GranLusso. This Maserati includes: ALCANTARA HEADLINER RED PAINTED BRAKE CALIPERS HIGH GLOSS EBANO WOOD TRIM Woodgrain Interior Trim SURROUND VIEW CAMERA Back-Up Camera WHEELS: 20 URANO ALLOY Aluminum Wheels TIRES: P245/40R20 FRONT Tires - Front Performance Tires - Rear Performance *Note - For third party subscriptions or services, please contact the dealer for more information. 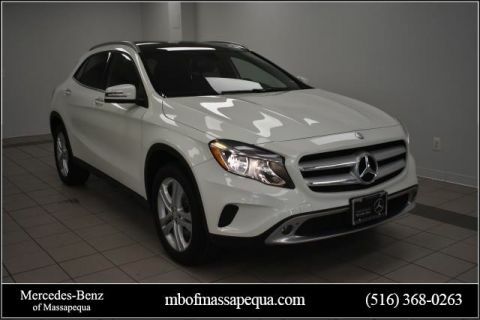 * Drive home in your new pre-owned vehicle with the knowledge you're fully backed by the CARFAX Buyback Guarantee. A test drive can only tell you so much. Get all the info when you purchase a vehicle like this with a CARFAX one-owner report. Quality and prestige abound with this Maserati Quattroporte. This vehicle has an added performance bonus: AWD. It improves handling on those winding back roads, and gives you added safety and control when driving through wet and snow weather conditions. Intricately stitched leather and ergonomic design seats are among the details in which test drivers say that Maserati Quattroporte is in a league of its own Drive away in this amazing Maserati Quattroporte and enjoy the realization of having the manufacturer's factory warranty coverage still in effect. You demand the best in everything, so why would your automobile be any different? Enjoy the best features available in this stunning Maserati Quattroporte. Left your phone at the restaurant? No problem. 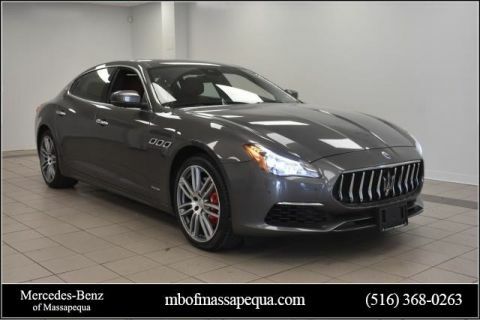 With the navigation system on this Maserati Quattroporte, you'll be able to quickly find your way back to get it.Contact Mercedes Benz of Massapequa today for information on dozens of vehicles like this 2017 Maserati Quattroporte S Q4 GranLusso. This Maserati includes: ALCANTARA HEADLINER RED PAINTED BRAKE CALIPERS HIGH GLOSS EBANO WOOD TRIM Woodgrain Interior Trim SURROUND VIEW CAMERA Back-Up Camera WHEELS: 20 URANO ALLOY Aluminum Wheels TIRES: P245/40R20 FRONT Tires - Front Performance Tires - Rear Performance *Note - For third party subscriptions or services, please contact the dealer for more information. 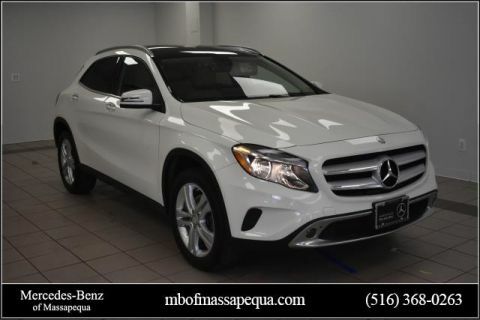 * Drive home in your new pre-owned vehicle with the knowledge you're fully backed by the CARFAX Buyback Guarantee. A test drive can only tell you so much. Get all the info when you purchase a vehicle like this with a CARFAX one-owner report. Quality and prestige abound with this Maserati Quattroporte. This vehicle has an added performance bonus: AWD. It improves handling on those winding back roads, and gives you added safety and control when driving through wet and snow weather conditions. Intricately stitched leather and ergonomic design seats are among the details in which test drivers say that Maserati Quattroporte is in a league of its own Drive away in this amazing Maserati Quattroporte and enjoy the realization of having the manufacturer's factory warranty coverage still in effect. You demand the best in everything, so why would your automobile be any different? Enjoy the best features available in this stunning Maserati Quattroporte. Left your phone at the restaurant? No problem. With the navigation system on this Maserati Quattroporte, you'll be able to quickly find your way back to get it.